There are loads of wonderful things to say about small dogs. They can jump into your lap for cuddles without crushing you, enjoy world travel with you inside cozy little carriers, and may even save you a little money on dog food and pooper scooper service! As amazing as they are, little dogs sometimes require a little extra care all year long but especially when the winter months roll around. When the cold winter wind starts to blow, don't forget your little dog needs to be just as protected from the elements as you are. 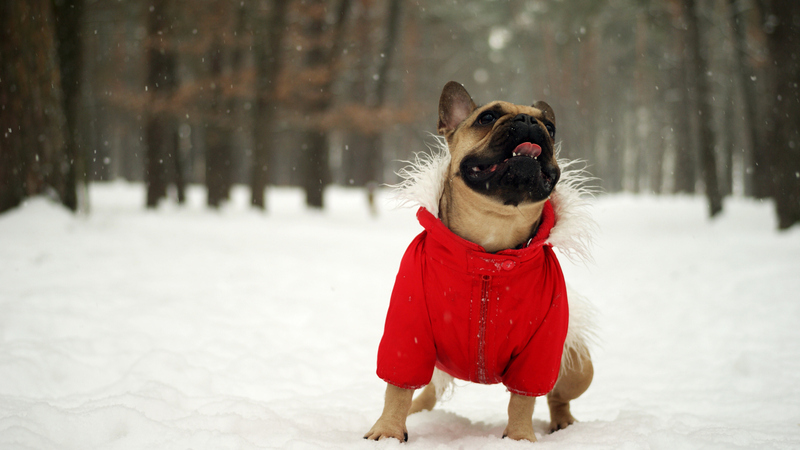 Here are a few tips that will keep your dog happy and healthy no matter what the weather. Whether your dog is long or short-haired, be sure to get an outdoor coat for your little friend. 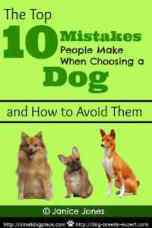 Small dogs don't generate as much body heat as the larger breeds and will become cold much faster. Even if you have a long-haired breed of little dog, they should have protection if the temperatures drop below freezing. A well insulated dog coat will keep him warm and snug. Chemicals used to treat sidewalks, roads, and driveways can hurt your canine friend. Since small dogs often have bellies very close to the ground, even a few inches of snow or slush can cause it to collect on your dog's stomach and paws. To keep your small dog safe all winter, bring a towel along on your walks to clean chemicals, ice, and salt off your dog immediately. Be sure not to neglect between his paws, where sludge and chemicals can get stuck. If your pet is showing any of these signs after being in cold weather, get him out of the cold immediately, wrap him in blankets, and call your vet immediately to find out what to do next. Winter is not the time to give your pooch a short haircut or try to win any grooming beauty contests. Keep his fur or hair as long as possible. 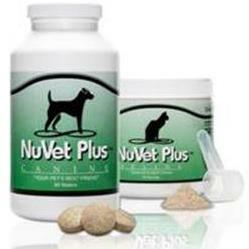 This gives dogs a layer of natural protection against the cold. 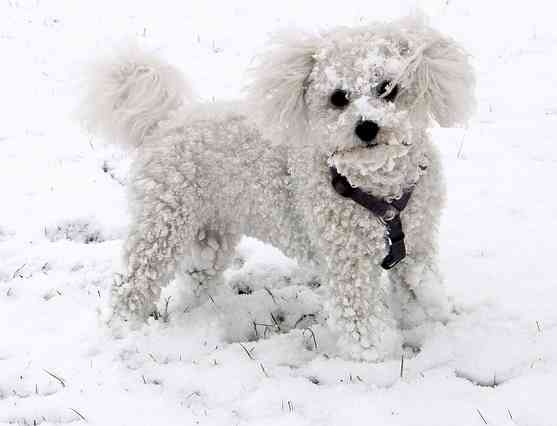 Never shave your dog during the winter months if you live in a cold climate. If you absolutely must shave him due to heavy mats and tangles, plan to dress him in a sweater that he will wear even inside. Better yet, keep mats and tangles to a minimum to take full advantage of that long hair coat. Antifreeze is toxic to your pets, and small dogs with shorter legs also run the risk of getting it all over their paws and bellies and then licking it off. Animals can be attracted to antifreeze and other coolants because of their sweet smell. Even small amounts of antifreeze can be deadly to dogs, so be extra vigilant in the winter. Keep your small dog safe all winter by not leaving your dog unattended in any area where antifreeze is stored. Whether your dog is big or small, don't forget to pack emergency supplies for your pet as well as your human family. Be sure to have at least five days of dog food and water on hand, as well as any medication they may need, in case adverse winter weather keeps you stranded or without power. A portable generator is a big help both to your family and to your dog. If that is not possible, you will want to have heavy blankets on hand as well as sweaters and coats for your dog. In subfreezing temperatures, it is not wise to plan a long hike with your small dog. You may want to find other ways for him to exercise and have fun indoors. It is cruel and inhumane to expect any dog to live outdoors in subfreezing temperatures even if they have a dog house. Never leave a dog outside in 0 degrees F. or minus 17.7 degrees C.
Many dog breeds have paws where hair continues to grow between the pads of the foot. Regular professional groomers will trim paw pads as part of the regular grooming routine. If you groom at home be sure to check paws and keep hair trimmed. Long hair can collect dirt and ice balls between the pads making walking very painful. It is always a good idea to wipe paws after a walk. Keep your small dog safe all winter by using a warm washcloth and towel to remove any salt and deicers that they may have picked up on the walk. Baby wipes or speciality dog wipes work well too. Consider boots or booties for your dog during walks if he will tolerate them. Paw coverings will protect the foot from the various chemicals likely to be encountered on a walk. Gels and salves are also helpful for dry, cracked paws. Cold, dry conditions often bring on problems with skin—dry, flaky skin can lead to scratching and skin irritation. Add a bit of Salmon oil to your dog’s food if you are noticing more scratching during the winter. You may also want to have her coat checked out by a veterinarian if you see flaky skin that looks like dandruff. It could be that, or it could be something else. Only your veterinarian will be able to diagnose the problem. Some shampoos that contain coconut oil may also help. Many large pet stores carry these products in the winter as well as hardware stores. Check the label before purchasing to see if the chosen product is pet-safe. Try the tips above to keep your small dog safe all winter.